Select an area to view the library tutorials for each area. 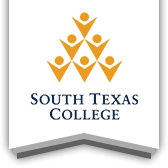 – Learn about the resources and services offered at South Texas College Libraries. – Learn how to request additional JagPrint printing credits. – Learn how to use JagPrint: Mobile Print by watching this interactive tutorial. – Learn about the library and how to answer the questions on the College Success Library Orientation Worksheet. – Learn how to download and view ebooks on to your computer, tablet, or phone. – Learn how to search for books in the library. – Learn how to search the online databases. – Learn the steps to choosing a good research topic. – Develop skills to evaluate sources and determine which sources contain the most reliable information. – Learn how to identify primary and secondary sources. – This lesson will help you develop the ability to find, evaluate and use information-an important set of skills to have. – Understand the differences between articles from scholarly journals and articles from popular magazines. – Learn how to cite sources using the APA citation style. – Learn how to cite your sources in a PowerPoint presentation. – Learn how to cite sources using the Chicago citation style. – Learn basic information on citing sources that are used for your projects. – Learn how to create Library Discovery Lists in Blackboard. For Apple iOS devices view the tutorial here.